I was thinking hard just before starting this website about whether there had been a moment in my life which was not involved in something related to the English language or to Shakespeare. And the fact is that I cannot remember the precise moment when it “all” started, like the Rosencrantz (or Guildenstern?) character in Tom Stoppard’s play commenting about the fact that nobody remembers the first time one acknowledges as a child the fact that we are mortal, even if this awareness should shock one forever, it’s quite symptomatic. Of course I can remember the Complete Works in my elder sister’s library since my early childhood, a book which always attracted me with its gold-lettered title and its leather cover, and the BBC’s Life of Shakespeare starring a dazzling Tim Curry in the main role – I was around 3 years old then. But I cannot remember which was the first play I decided to read completely, or even the first lines I happened to encounter in my heterogeneous and precocious craving for books since I was very small. Nevertheless, I remember the first book I read, from the first page to the last, in one afternoon: an Italian translation of Alice in Wonderland. I was six then. One thing I am sure of, in any case, that in 37 years, any time I find myself “pushed away” for one reason or another from my oldest and most intimate attitudes and loves — for my fault or others’, or just because there are other new things to add to the list of what I am (i.e., a wife, then a mom, etc.) — always someone or something brings me back to keep me alert on who I am and what I would like to be or to do in my life. This multitude of passions and skills I use to call my true self and they include, of course, my love for the Bard and his works. A little clarification about my thoughts on adaptations of Shakespeare’s works is needed at this point. You might hear me affirm aphorisms such as: “I think that Hamlet could be acted dressed in any clothing, with barely no stage equipments…well, just a skull, a sword and a cup, maybe…” but I must apologise to avant-garde theatre fans but I just cannot stand a naked Ophelia or the like. It’s not because I am puritanical or something, I just fully enjoy adaptations when the “words” and the context are neither distorted nor misused to “shock” the spectators and the critics. 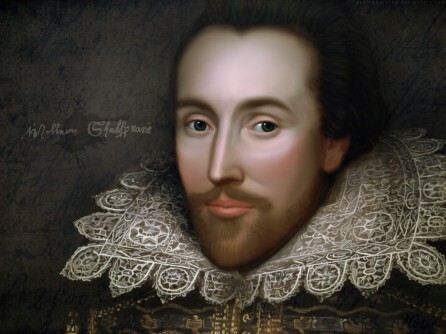 This is a place where I will share all my Shakespeare “things” and “thoughts” then, from now on, and I am happy if you will join and enjoy anytime you wish.